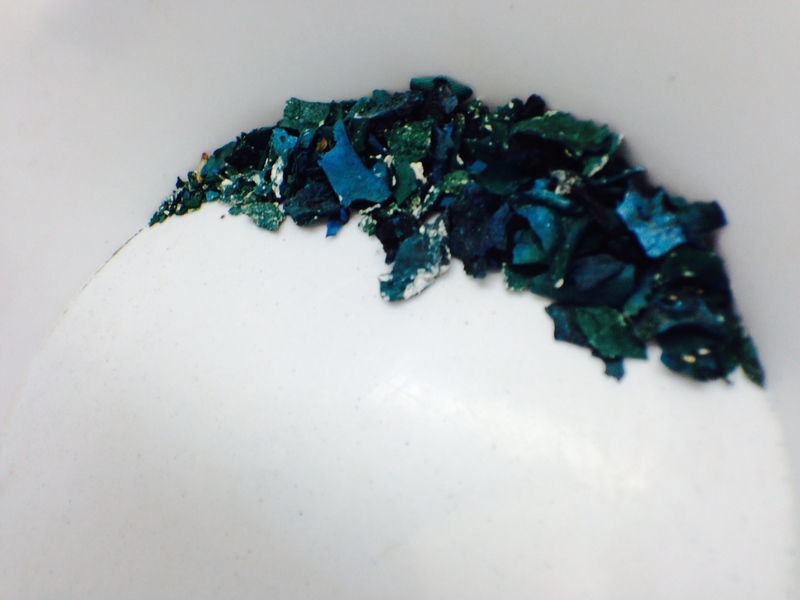 When I thought about adding Spirulina to the fish food project, I had no idea where to start. 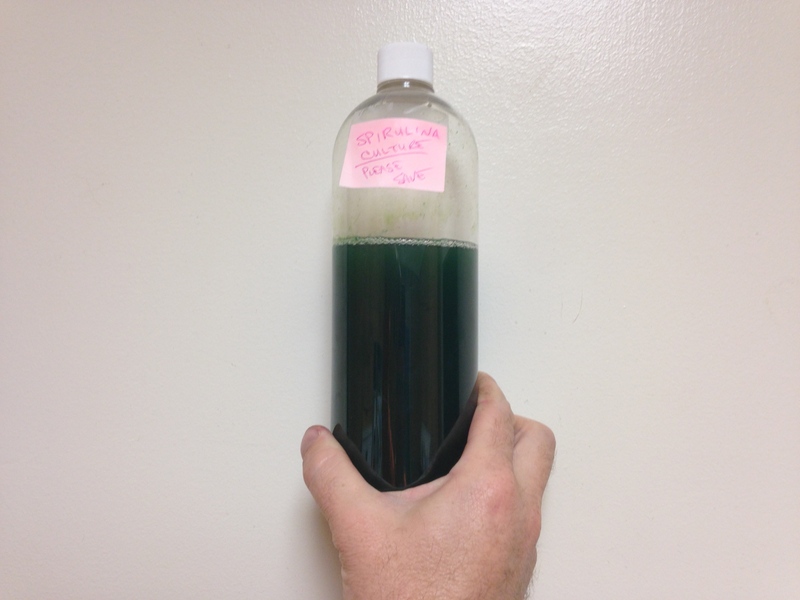 I began by reading a lot of articles and papers about this wonderful blue green algae and realized our aquaponics water might be perfect for a culture. So where does one get Spirulina? After some searching, I bought some from AlgaeLab. They sent me a one liter bottle and a small book. As you can see, I’ve only used a little bit to start our cultures. You can start with a tiny amount and it grows so fast that before you know it, you’re collecting green paste with a 30-50 micron mesh sock. Yum! Actually, the green paste has no taste. It’s creamy and extremely mild. Well, that’s another story. It gets a little “aquatic” tasting. And that’s not from the aquaponics water! That’s just how it tastes dry. If you can consume it fresh, it’s the bees knees. Consuming dry is more like a bluish green pisces knees. I’ve had this bottle sitting on my kitchen counter for a couple months now. My wife isn’t super stoked, but the kitchen is a nice, mildly lit place that stays warm. Perfect for storing Spirulina! It also happens to be right by my car keys so it’s easy to remember to give it a good shake now and then. 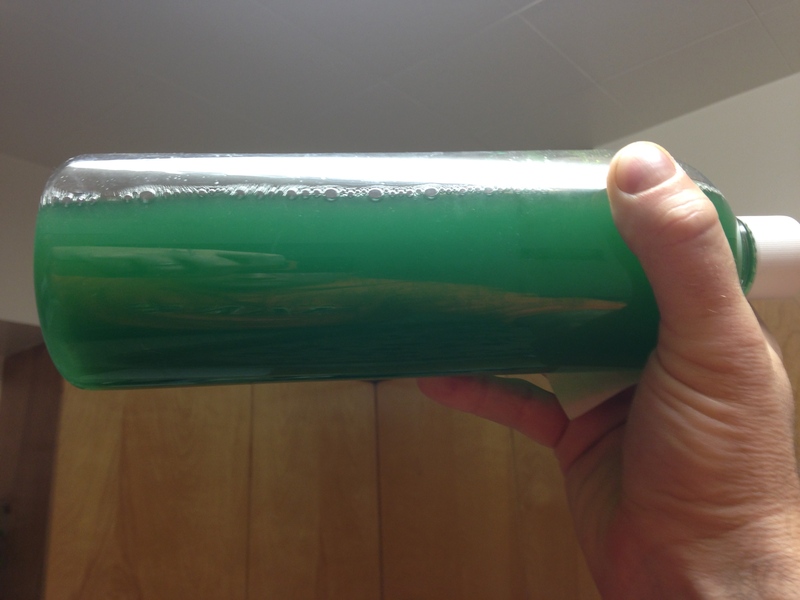 It’s interesting to see the color change when the kitchen is warm for a period of time because the bottle becomes dark with a blue green bloom as they reproduce. Everyday, I tighten the cap on the bottle and give it a good shake. Then, I loosen the cap to allow for air exchange. This seems to be just enough to keep the culture in check with the nutrients in the bottle. It’s like a little Cyanobacteria terrarium in there. Cyanobacterrarium? 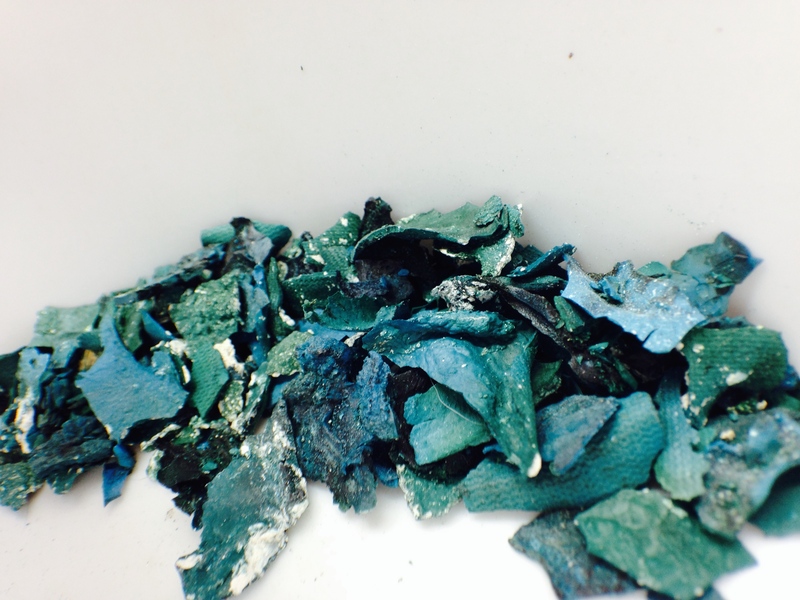 Spirulina can be kept like this for a very long time evidently.